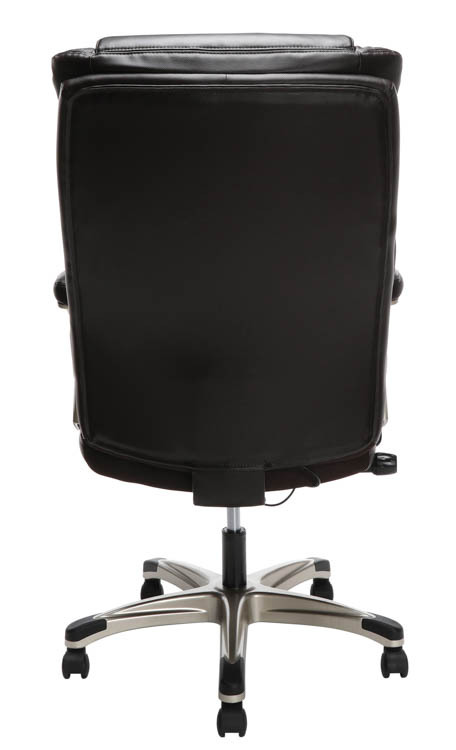 This ergonomic Executive Bonded Leather Office Chair will feel like your home office throne. This computer desk chair features plush memory foam, height adjustable flip up padded arms, and adjustable lumbar support. Adjustment paddles are conveniently located on the seat, so you don't have to reach far beneath the chair to customize. 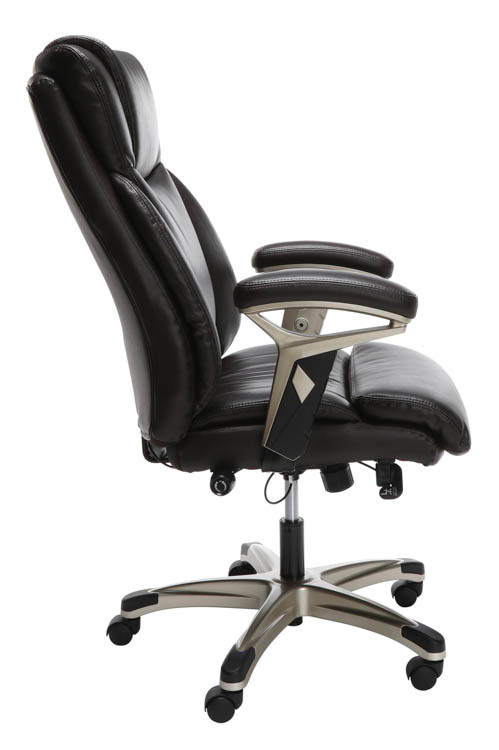 The ergonomic office chair has a tilt recline to keep you in a comfortable position all day. This executive chair is a perfect addition to the office, whether at work or home. Weight capacity up to 275 lbs. Overall Dimensions: 28.74"W x 33.27"D x 44"- 48.8"H.